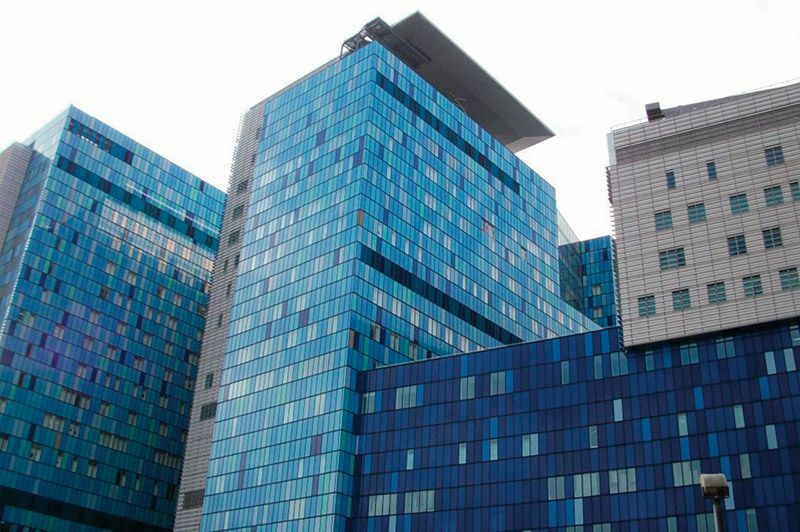 Barts Health is the UK’s largest NHS Trust, serving a population of 2.5million people within five hospitals and over 5.7million square feet of built estate. In the 2000s they were facing challenges to improve the energy efficiency of the estate, to decrease CO2 emissions and reduce costs, while maintaining estates that were fit-for-purpose for patients and staff. The estates and facility management team procured an energy performance contract that included the introduction of a combined heat and power plant, lighting improvements and mechanisms to address maintenance backlog. These were able to reduce CO2 emissions at the same time as improving the environment for patients and staff and supporting healthcare delivery. The team introduced very low energy LED lamps that adjusted to levels of natural light. These reduced energy use and provided more consistent lighting to enable staff to better monitor patients. The LEDs had a 10 year life, dramatically reducing the need for re-lamping and the accompanying disruption for both patients and staff that can compromise infection control. The team also increased the use of computer-aided facilities management systems. This directly led to improvements in the management of required maintenance and allowed better monitoring and enhanced control of the internal environment in response to changing external weather, lighting levels, and other occupational needs.